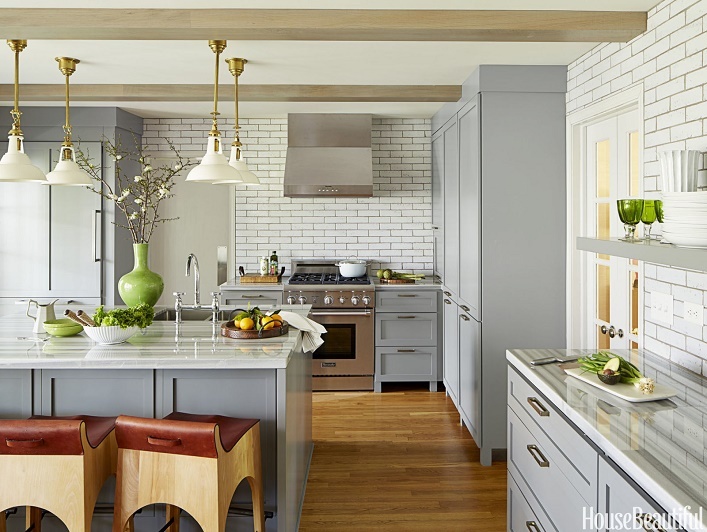 I absolutely adore this beautiful kitchen designed by the talented Angie Hranowsky! The neutral gray and white color palette creates a sense of lightness, airiness and serenity, don't you think? A cluster of traditional hanging pendants with antique brass finish above the island evokes a timeless style and helps illuminates the prep area at night. I like how the designer cleverly brings the weathered subway tiles all the way up for visual interest and easy clean ups. The gray marble countertop with stripe-like striations also help to add another layer of visual interest in the space. The modern wood bar stools with the leather details are unexpectedly chic and delightful. 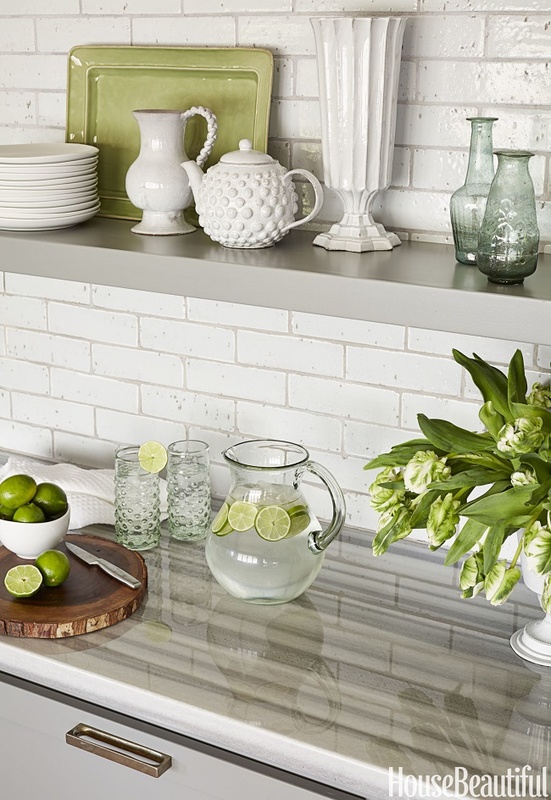 Such a fresh, gorgeous and inviting kitchen, what's not to like? Your thoughts?